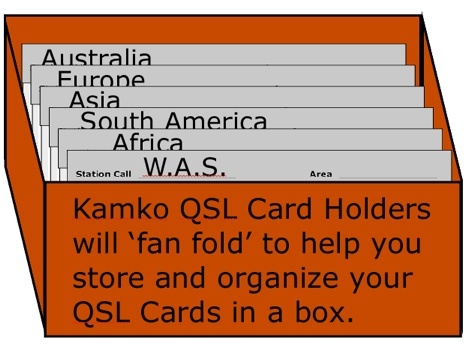 Each plastic Holder will (FAN FOLD) to help you organize your QSL Collection. Place the Card Holders in a File box (or old shoe box) and the TOP Section will act as an INDEX TAB. Just grab the TOP and pull out to examine or show off your collection.